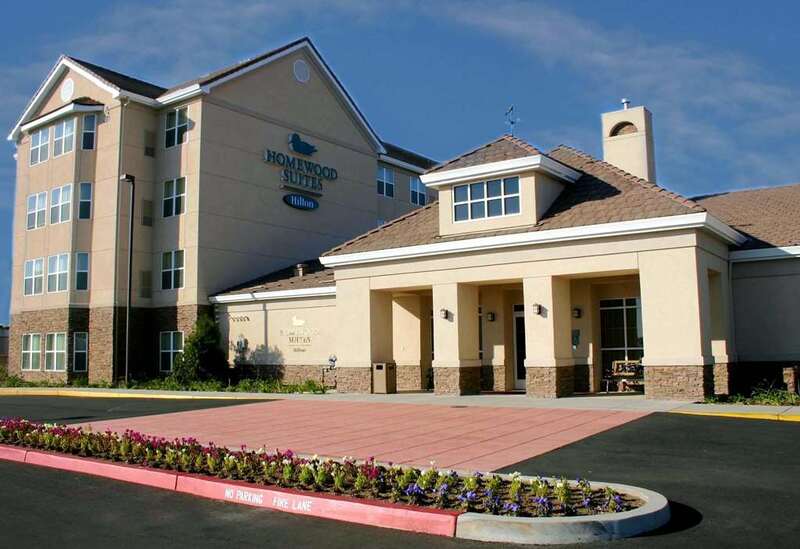 The Homewood Suites by Hilton Sacramento-Roseville California is located two blocks from Roseville*s Westfield Galleria Shopping Mall the Creekside Ridge Mall and the new upscale *Fountains* shopping and dining complex. We are also surrounded by a variety of Sacramento*s best restaurants. We are only minutes away from Roseville*s business district including Hewlett Packard NEC Adventist Health Sutter and Kaiser Permanente Hospital. Additionally our hotel is just a short drive to the renowned Thunder Valley Casino. This all-suite hotel is considered *home* for guests traveling towards Beale Air Force Base and McClelland Business Park. Going to Lake Tahoe or Reno. The Homewood Suites provides travelers with a great rest on the road trip towards the summit. We take pride in ensuring you feel like you are *at home* while you are away on business or leisure. Start your day with our complimentary *Suite Start Breakfast* and then join us in the evening for our *Welcome Home Reception* /Monday thru Thursday/ featuring a light dinner and complimentary beverages. Once you get a chance to return to your suite you will enjoy all of the comforts of home including our recently upgraded complimentary high-speed wireless Internet. All suites feature a fully-equipped kitchen with a full refrigerator microwave two stove-top burners and a dishwasher. We look forward to having you making us your *home away from home* when you are in Roseville.